As a Weekly or Monthly VIP client you get instant access to the New Sports-Picker.com VIP members resource section. This is a Members only area of the website that includes advanced tips, strategies and links to some of the best resources that I use to handicap games. This resource section alone is worth thousands. Plus I am continuing to add new links weekly. I don’t just post the pick like some other handicappers. I provide a detailed write-up of every play including the key reasons for the pick. This helps you understand the logic behind the plays and also teaches you what to look for when picking your own plays. I post every single pick I make to my website. Yes occasionally we have a bad day or a bad week, those plays get posted to. My picks are for real, my record is for real and I stand behind my service. My service comes with a 60 day money back guarantee. If we don’t win I will give you a refund or extend your membership. 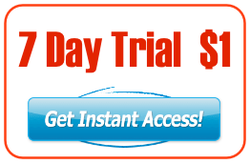 This is full guaranteed by ClickBank one of the internet’s largest online retailers of info products. You get access to support directly from Rob. If you have a question about a pick or need help with something you get direct access to Rob. Picks are sent daily by email by 5PM Est. - Note some last minute picks may be sent out due to late breaking injury or suspension information, but I try to give as much time between my email and game start as possible. Telephone support available upon request. New customers registering after 5PM can email infoATSports-Picker.com (replace AT with @) and I will try to supply the current days picks. To make sure you get the current days picks register as early as possible. "I have been a Sports-picker.com VIP member for 5 months now and my bankroll has more than tripled. Reading Rob’s expert analysis has also helped me to fine tune my skills at finding value in games and spotting soft lines. I’ve tried a few other handicapping services in the past, and I have never found anyone as honest and helpful as Rob. He responds to emails promptly and is always willing to offer extra assistance when needed. I can’t recommend the VIP client service enough"
"I wanted to send in a quick note about my customer experience with Sports Picker.com. I joined for a week in mid April and it wasn’t one of Rob’s bets weeks so I cancelled the service and requested a refund as per the guarantee. I was immediately refunded my $39 and Rob offered to send me an additional week of picks on the house. The next week he was on fire and I more than tripped the amount that I lost the previous week, I also won several NHL series bets that I had placed the week before. I rejoined for a monthly package and have been winning consistently ever since. I can personally vouch for both the picks and the guarantee." Rob has been a great handicapper from the beginning. He responds within 24 hours(usually within an hour) and is easy to talk to if asked any questions. His picks are real and legit and winners. Even the free picks are winners. I have been crushing the book for almost a month now and Hes my hidden secret to winning picks. Congratulations on a profitable April. Your sincere, genuine, and HONEST operation is certainly rare and unique in an industry overloaded with false claims and shady operators. Visit the blog for a list of actual plays VIPs Up Over 100% bankroll return already this year!!! Your monthly subscription will renew each month on the date you sign up. For example if you sign up on the 1st, it ill renew each month on the 1st. End of the month subscriptions will renew on the next possible date. ClickBank is the retailer of products on this site. CLICKBANK® is a registered trademark of Click Sales, Inc., a Delaware corporation located at 917 S. Lusk Street, Suite 200, Boise Idaho, 83706, USA and used by permission. ClickBank's role as retailer does not constitute an endorsement, approval or review of these products or any claim, statement or opinion used in promotion of these products. "Your credit card statement will show a charge from CLKBANK*"